Things are finally progressing to the REAL fights. With the hostages rescued, Laxus goes into even darker territory and decides to take the entire city hostage. On top of that, Macarof passes out due to an illness, and its up to the rest of Fairy Tail to take on Laxus and stop him. 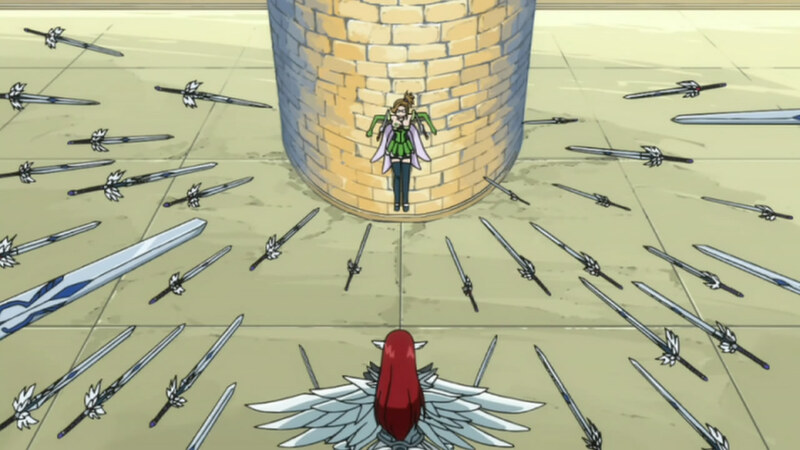 Erza taking down Evergreen was pretty cool. Especially with how she reequipped her feet with two swords and used all four limbs to deflect Evergreen’s attacks and then pin her to the wall. The hostages are now free, and it looks like Levi is working on getting Natsu and Gajeel out to fight Laxus. 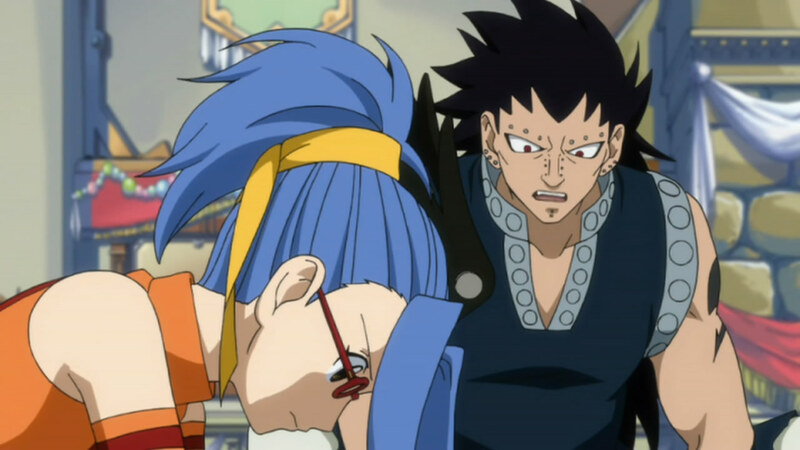 I’m sure by the next few episodes, Gajeel and Natsu will head to Laxus and the main showdown will begin. 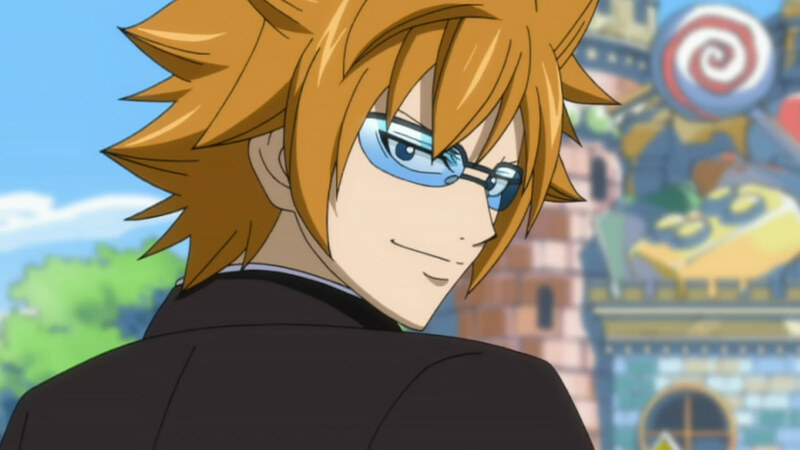 That aside, Loke finally showed up and in a rather cool way! XD Lucy also was pretty cool with her “I don’t use Spirits as sheilds, I fight with them” line. 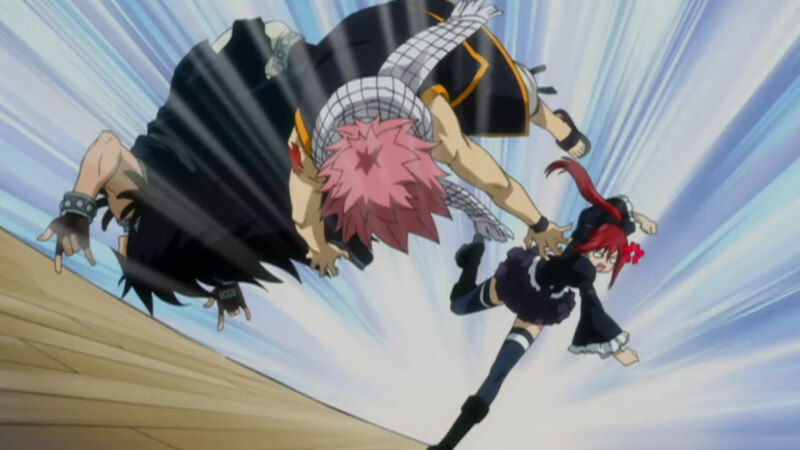 I’m really excited for the Loke & Lucy versus Bicslow fight now. I laughed at Happy’s comment about Lucy liking Loke. I dunno, there could be some degree of truth to it. Manga readers have told me that the pairing doesn’t really happen, but there are some strong hints here from what I can see. That said, I think its enough episodes of slowing everyone down, keeping them locked up, and preventing them from fighting. I’m surprised there was no mention of Mystogan at all in this episode. I wonder what he plans to do and how he’ll figure into the battle for who runs the Guild. 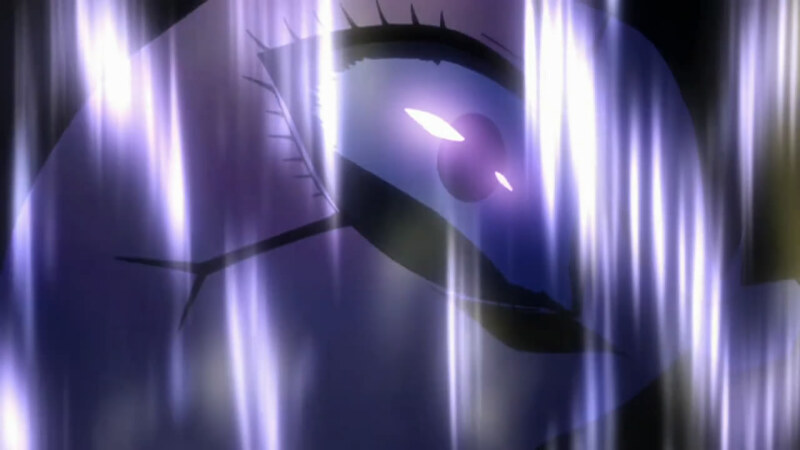 Seems like we finally get to see Mira in action with all her powers unleashed. From the flashbacks, it seems she was able to go to toe with Erza, and was a rather sadistic mage at that. Wait till next week!